Comment: In our Matthew text, magi come to baby Jesus from far away. They intend to worship and pay him homage, and they also bring him gifts. But not just any gifts—they bring him valuable and precious gifts: gold, frankincense and myrrh. While they are strange gifts for a baby, they are gifts which are appropriate and useful for the king and Savior Jesus will be. The magi help Jesus by offering him their valuable gifts. 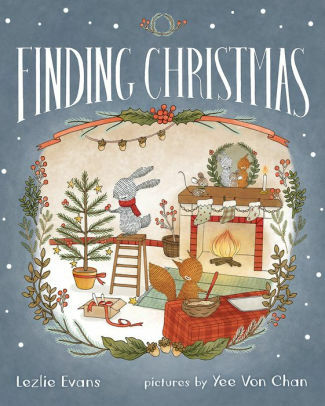 The same is true in Lezlie Evans’ book Finding Christmas. In the story, Mouse, Squirrel and Hare all have planned to give one another Christmas gifts, but as Mouse goes out to finalize her gift, she finds a sick and suffering sparrow. The animals bring Sparrow back home and try to help. They encourage each other to open their Christmas gifts, because they all know that the gifts they intended for one another will be better served to help the sparrow get well. The coneflower blossoms intended for Squirrel will make tea for the sparrow, the hat intended for Mouse will help keep Sparrow warm. Eventually, every animal offers gifts in order to help each other. They offered what was valuable and precious so it could be of use, just like the magi did for Jesus. It may be difficult, but we are called not only to offer our gifts, but to offer our most valuable and precious gifts, in worship of Jesus and for others’ benefit. Thanks to Union Presbyterian Seminary alumna Sara Anne Berger for writing the Year 1 Narrative Lectionary Links. Lectionary Links (NL): January 6, 2019 by Storypath is licensed under a Creative Commons Attribution-NonCommercial 4.0 International License.